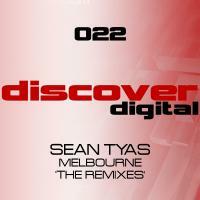 In February this year we released Sean Tyas's massive "Melbourne" and as part of the release we made available the remix parts for the track. We received over 200 entries and after much deliberation, these were the final 4 chosen for release. Remixes were judged on originality, production quality and just that little something that sets a mix apart from all the others. Congratulations to the winners, and for those of you that may need a little reminder, we have included Sean's classic original. 'Melbourne 'the Remixes'' is available now from Beatport and iTunes.